None of the plants in the baby pools are growing well. 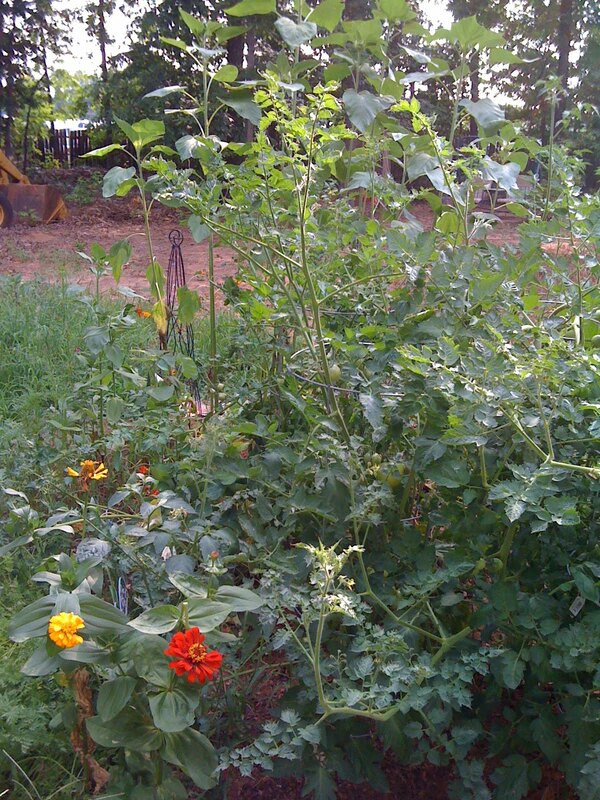 The termites are still in the dirt even after spraying a capsaicin garlic spray my bloggy buddy "Sweet Pea" suggested. I hoped this spray would deter them. The flea beetles are still terrorizing the eggplants to the point that the eggplants dropped all of their leaves and the two beautiful purple blooms. The plants have grown new leaves so I still have hope for them. The sweet peas produced a few pea pods. The kids loved snacking on the raw peas. I'll try to plant those again next year, only earlier. I might try to plant some in the fall too. Just to experiment. The pepper plants aren't doing well either. One plant had a small green pepper but the next day, it fell off. I think the termites are the culprit. And the cucumbers aren't producing well. I'm thinking of planting some more seeds near the carrot bed. 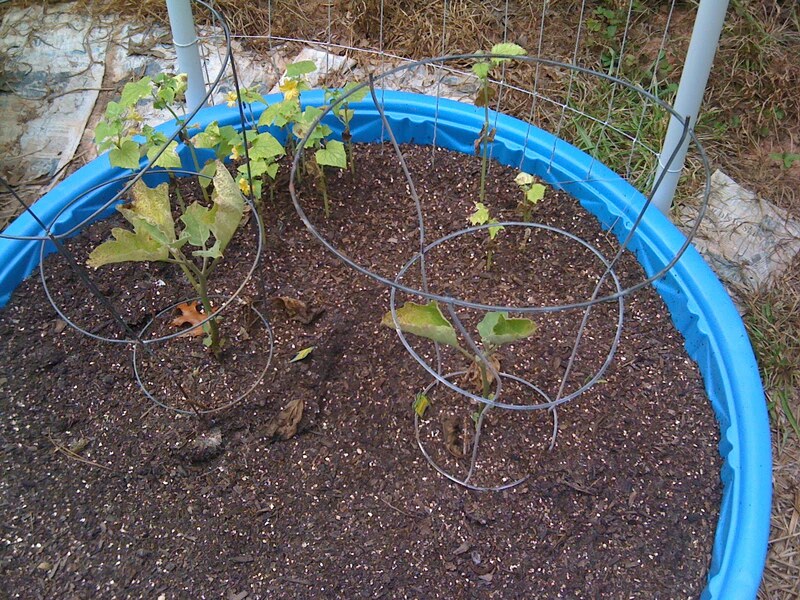 I can move my cucumber trellis so they can climb up. I'll try that next week. It certainly is discouraging so see the seeds sprout and then die away. But I will say I've learned a huge lesson...raised beds are not for me. Maybe I'll try a permanent raised bed for my herb garden, but not for veggies. This side of the garden is doing great! I'm so happy with the results. 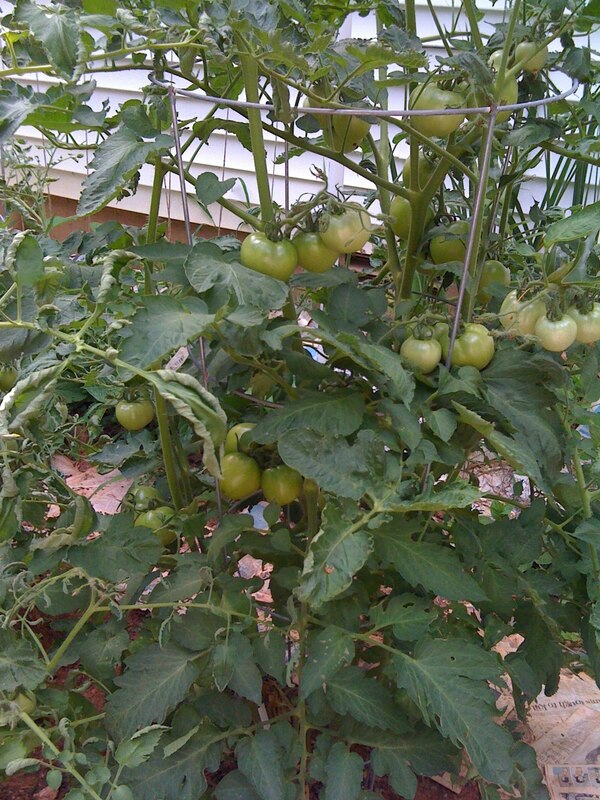 The tomatoes are growing like crazy. I'm just hoping the virus doesn't spread to this side, I'd hate to lose all of my tomatoes. Our garden has been plagued with a tomato virus. So far we've lost 3 tomato plants and it looks like a 4th has been infected. 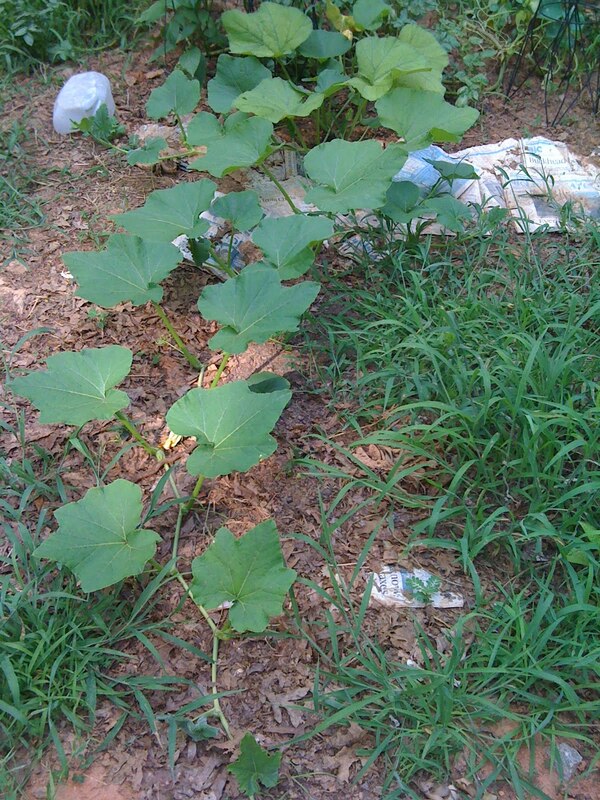 The butternut squash I moved from the baby pool has been growing exceedingly well. Just look at the length of that plant! 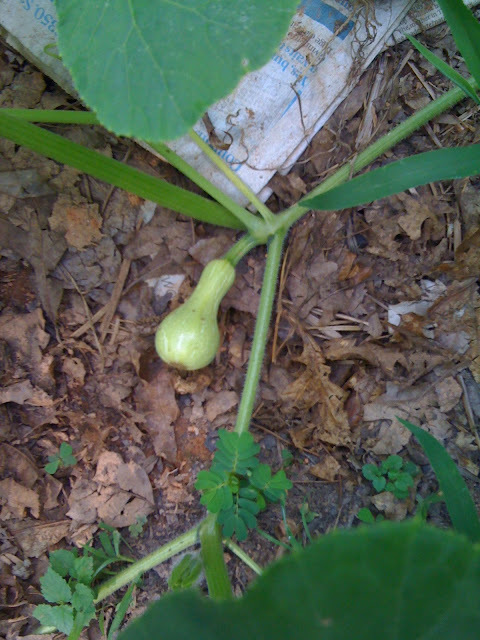 And we have about 3 baby butternut squashes growing and more blooms. I'm looking forward to some yummy roasted butternut squash later this year! 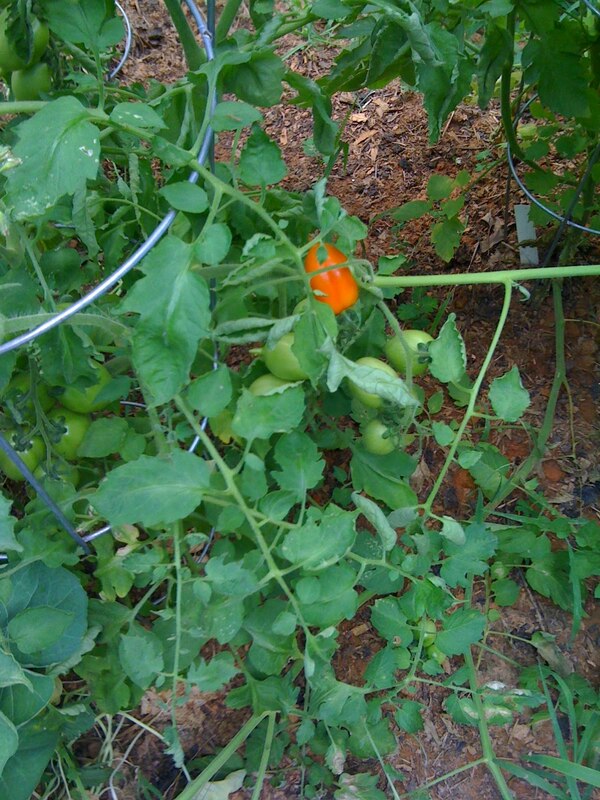 We have one Roma tomato almost ready to pick. And we check our carrots about every week, just because the kids love to see the little baby carrots growing. I have to admit, they are the cutest things I've ever seen and very easy to grow. The green beans have taken off! They even have blooms so we'll have green beans soon! 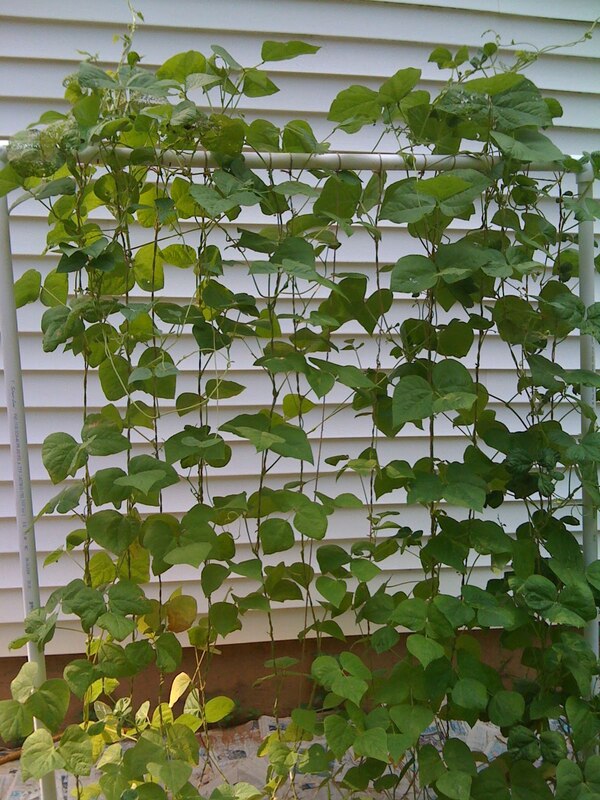 The yellow wax beans were packaged as pole beans, but they are bush beans. I was surprised to find a handful of beans last week. I included them in the Summer Veggie Pasta Salad. 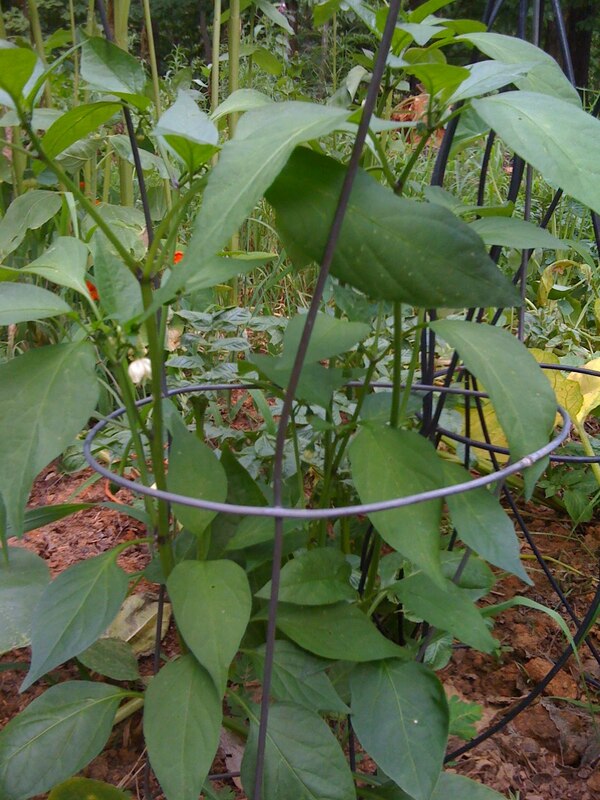 I moved this jalapeno pepper plant when the termites destroyed the other two. It is doing so great. We've harvested two jalapenos. Now it's grown more leaves and sent out more blooms. I need to weed something terrible, but I'm waiting for a good wet rain. It always seems easier to get out and pull them up when the ground is softer from the rain. How does your garden grow this June? It's super hot already here in Georgia with heat indexes reaching 100 degrees. 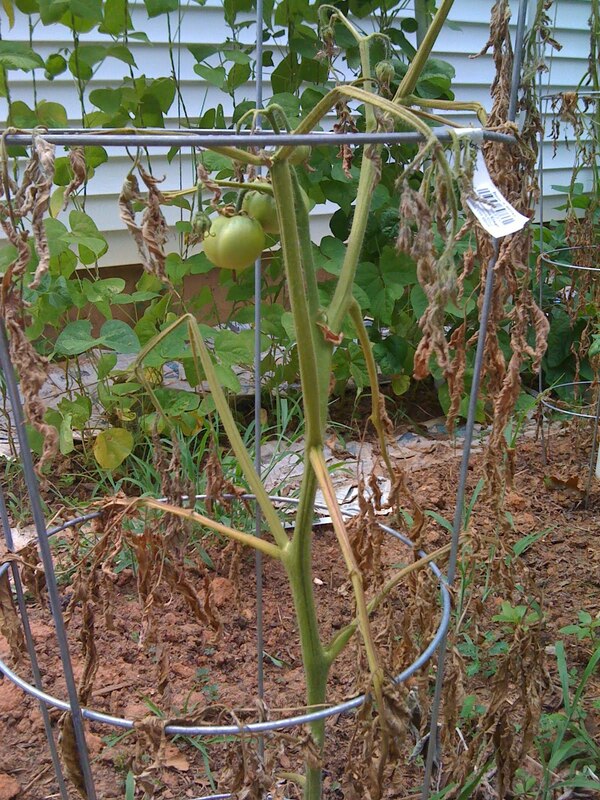 So sorry to see your tomato plants sick. But, WOW, the other plant has so many tomatoes!!! The green beans look great, too. Sorry about the Tomatoes, it stinks when you feel like there is nothing you can do. The green beans look good!! Bugs are the bane of a gardener's life (as are bunnies!). But the rest of your garden looks fabulous! Thanks for sharing! visiting you from an oregon cottage. that's a shame about the tomatoes but everything else seems to be doing so well! Sorry to hear about your run of bad luck. I had some kind of worm eat my green beans. Luckily I got them replanted and I think they are doing well this 2nd time around. Don't loose too much hope. Stopping by from TGP. Oh Candi, that would freak me out to see my tomatoes do that! Sad, sad. I've had the bottom of my plants get a wilt, but it's usually late blight and I can hold it off until I get some harvest. It's also why I always grow some hybrids that are resistant to the wilts as well as heirlooms- I wouldn't want to loose all my tomatoes. And you know I'm a believer in raised beds, so I'm sorry to hear you say that. 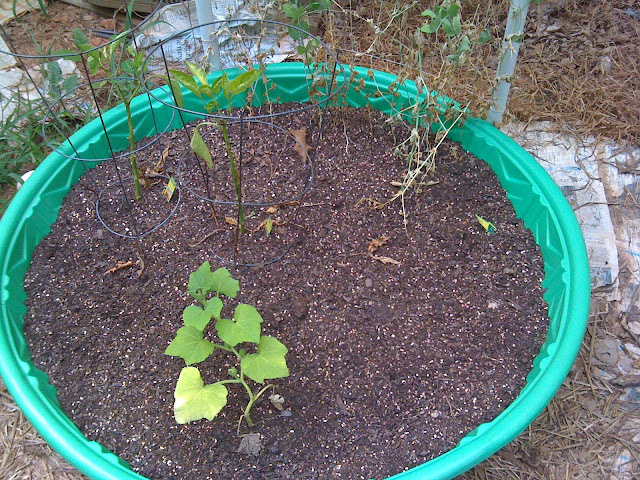 What I can say is kiddie pools are not raised beds, they are containers and you'd need to treat them like that by watering daily and fertilizing the heck out of them. I don't believe the plants had enough room for roots and without the ground to help hold in moisture they haven't thrived (I'm aware that people have great container gardens, but I've never been able to grow veggies in containers- they just don't do well for me). I know you said you're dealing with termites, too, but the ones you moved are benefiting from better soil and more even moisture that can be found in garden soil and traditional raised beds where the bottoms are open to the ground, as well. Thanks for sharing at the TGP! You have such a lovely herb garden! That is such a shame about the tomatoes. Everything else looks great though. That squash looks promising. Hope you'll power through the virus. Jane F.
We've had some problems with pests and other junk in our garden...Hopefully you'll have some produce from the side that isn't infected. I am so sorry that you have had so many difficulties this year - it can be very frustrating! Fortunately, you also have lots of plants thriving and looking great! Love the kiddy pool raised beds! I'll have to try that. 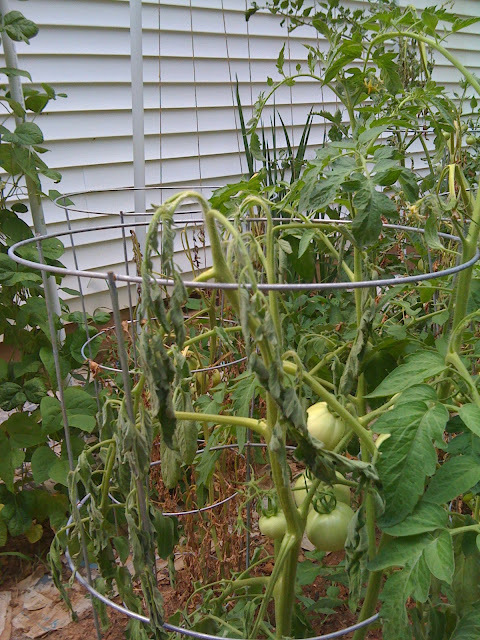 I see a little dryness at the bottom our our tomatoes too..is that what the wilt is? I'm sorry about your tomatoes. You have an amazing garden! I feel for your tomato loss! Last year we grew our plants from seeds and they were full and gorgeous. 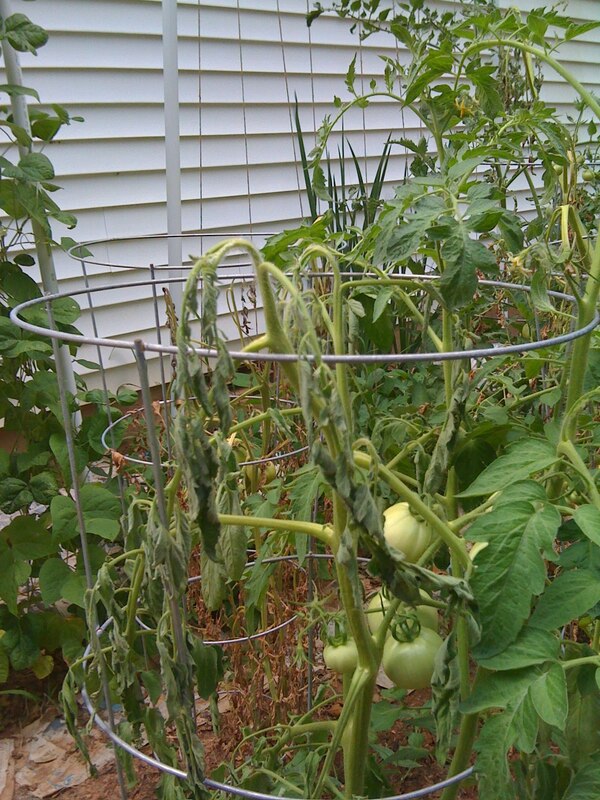 Then our tomato plants developed potato blight. It was so disheartening. 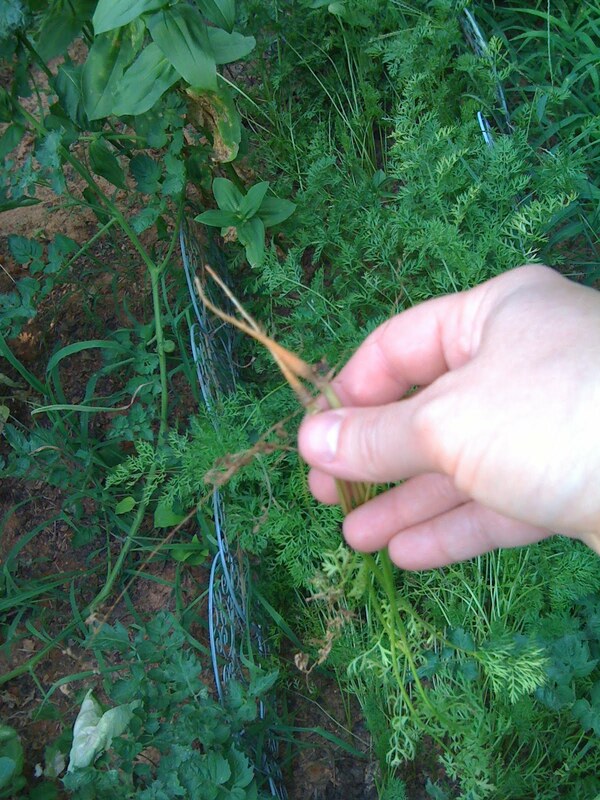 Our cooperative extenstion said NOT to put the plants in the compost pile because the spores will then spread through your copost year after year. We burned ours to be safe. I cross my fingers that yours doesn't spread!